A look at the finest artists featured in the Art Institute of Chicago. When many people think of art created by famous artists throughout history, they often think that they would have to travel around the world to get a glimpse of these masterpieces in person. Fortunately, many famous pieces of art are in museums in the United States. For art-lovers, one of the best places to go to see famous art is the Art Institute of Chicago. At the Art Institute of Chicago, art-lovers can see works created by some of the most famous artists in history. From van Gogh to Picasso, the Art Institute is packed full of works by famous artists. Take a stroll through this small glimpse of the historic artists featured at the Art Institute of Chicago! Vincent van Gogh is one of the most famous names in the world of art today. Vincent van Gogh was born in the Netherlands in March of 1853, the son of Theodorus van Gogh and Anna Cornelia Carbentus. Van Gogh's father was a minister, while his mother was an artist who focused on nature. It is believed that van Gogh's love for art was first inspired by his mother's work, and it grew when he was a teenager and went to work at his uncle's art dealership. It wasn't until several years later, in 1880, that van Gogh decided to move to Brussels and pursue a career as an artist. Throughout his life, van Gogh traveled and was inspired by the types of art that he saw, particularly impressionist art in Paris. While he worked hard on his art, van Gogh struggled with mental illness and toxic romantic relationships. Van Gogh was poor and fairly unrecognized for his art for most of his life. In 1890, van Gogh attempted suicide with a gunshot to the chest. He survived the initial shot but died two days later. After his death, van Gogh's paintings began to be appreciated, and eventually, people thought of him as an artistic genius. With his unique impressionist style and use of bright colors, van Gogh's works heavily influenced art of the future. Today, van Gogh's works are still admired around the world. Several of his pieces, including Self Portrait, Fishing in Spring, Bedroom in Arles, The Drinkers, Still Life with Apples, Pears, Lemons and Grapes, and Poet's Garden are all on display at the Art Institute of Chicago. A self-portrait by Vincent Van Gogh. Georges Seurat is a popular post-impressionist French painter. Seurat was born in December of 1859 in Paris, France. Seurat began taking art lessons from a very young age and eventually studied art at a school near his home. He created many different pieces throughout his career and eventually developed an entirely new style of painting known as pointillism. Pointillism is a technique in which very small dots of color are painted instead of long brush strokes. Up close, paintings created with the pointillism technique may appear to look like just a bunch of dots, but if you stand farther away, the colors blend together to look like a picture. Seurat was a popular French artist throughout his lifetime; he died in 1891. He is credited with starting the neo-impressionism style of art. Works of Seurat that are currently on display at the Art Institute of Chicago include A Sunday on La Grande Jatte, Final Study for "Bathers at Asnieres," and an oil sketch for A Sunday on La Grande Jatte. A Sunday Afternoon on the Island of La Grande Jatte is one of Georges Seurat's most famous works, and is an example of pointillism. 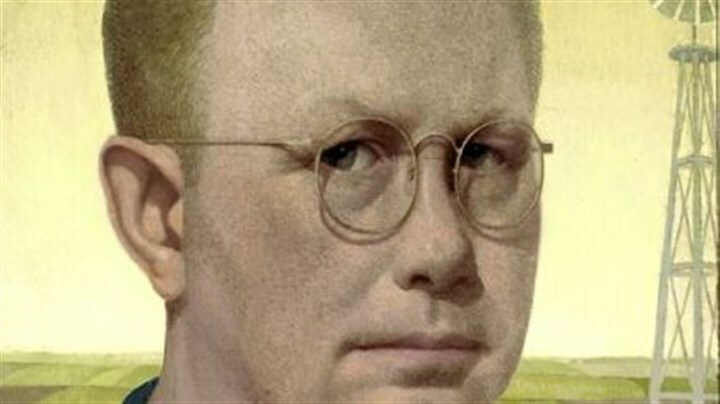 Grant Wood is an American artist who was born in Iowa in 1891. For those that do not follow art, Wood may not be a name that is as recognizable as van Gogh, but Wood is a very famous artist to art-lovers. He attended art school, where he developed a passion for painting rural areas of the Midwest. His painting American Gothic, which shows a rural American couple, is one of the most famous paintings by an American artist in history. Wood is best-known for his contributions to the American Regionalism movement. Wood died in 1942. His American Gothic, Young Corn, and Parson Weem's Fable are available for viewing at the Art Institute of Chicago. Edward Hopper is an American artist known for being part of the realism art movement. Hopper was born in 1882 in New York. He developed an interest in art, but for many years, he struggled to define his own style. His work became popular as the realism movement grew. Hopper created art until his death in 1967. Today, his work Nighthawks can be seen at the Art Institute of Chicago. Pablo Picasso is another name that instantly comes to mind for many when they think of the world's greatest artists. Picasso was born in Malaga, Spain, in 1881, and he moved to Barcelona to attend art school at the age of 14. Picasso was supported by his parents and experimented with many types of artistic expression, creating everything from sculptures to poetry. As an adult, Picasso moved to France, where he spent his life working as an artist. During his career, Picasso changed modern art with the creation of a style called cubism. Picasso and Georges Braque created an entirely new style of art that focused on the use of geometric shapes and abstract views. The creation of cubism inspired many artists to make abstract art. Picasso kept creating art until his death at the age of 91. Today, his artwork is still admired by many. Picasso pieces including Man with a Pipe, Mother and Child, Head, and The Red Armchair are currently on display in Chicago, Illinois, at the Art Institute.